Sorry I missed last weeks tips. Like I said I was away for a couple of weeks and didn’t have much chance to really focus on the golf. I was in New Orleans for a week followed by Vegas with a day of downtime in between – just not enough time to really sit and do the golf tips so I decided to skip it last week. I’m still getting back in the swing of things so unfortunately no write-ups this week. I hope to get back to it next week. 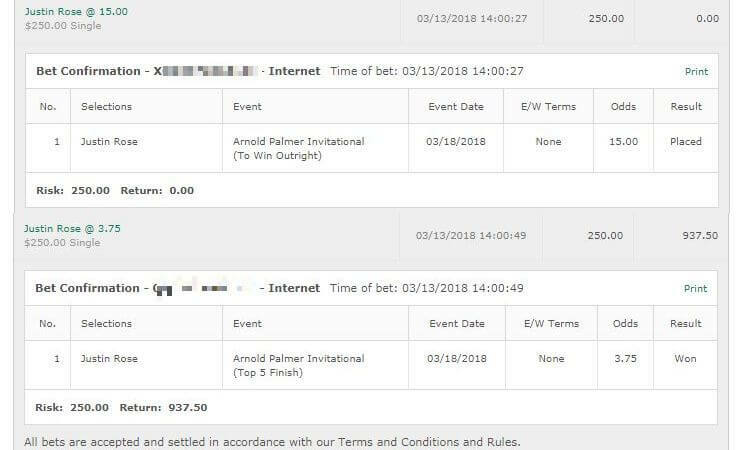 – 1/2 unit bet on Phil Mickelson to win & E/W. 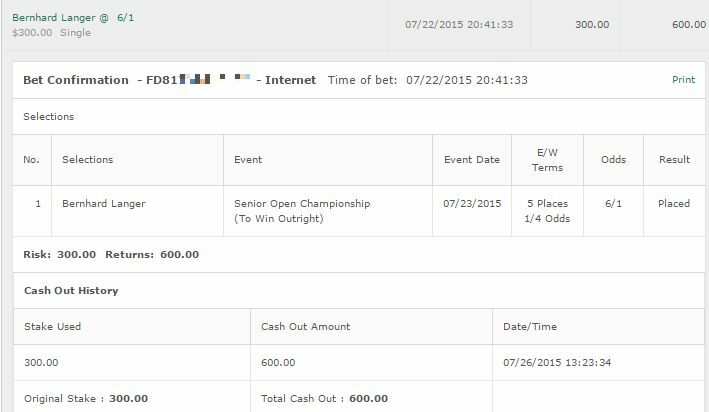 – 1/4 unit bet on Brandt Snedeker to win & E/W. – 1/4 unit bet on J.B. Holmes to win & E/W. – 1/4 unit bet on Pat Perez to win & E/W. – 1/4 unit bet on J.J. Spaun to win & E/W. Personally I may place a small bet on Jordan Spieth to win here but at the odds I can’t advise it. I don’t think it’s an +EV bet but I could see him taking it down. If I go with it it will be just a 1/4 unit bet. 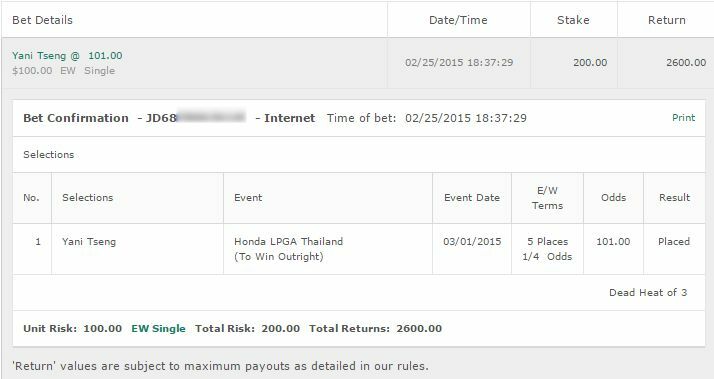 – 1/4 unit on Thongchai Jaidee to win & E/W. – 1/4 unit bet on Prom Meesawat to win & E/W. – 1/4 unit bet on Prayad Marksaeng to win & E/W. – 1/4 unit bet on K.T. Kim to win & E/W.